I got the idea for this tutorial when I was in the baking aisle at Jewel. 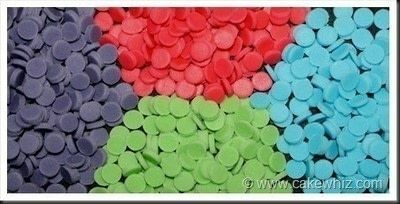 I love colorful sprinkles but I find those teeny tiny bottles of sprinkles to be totally over-priced! So, make them yourself. It's cheap and easy. 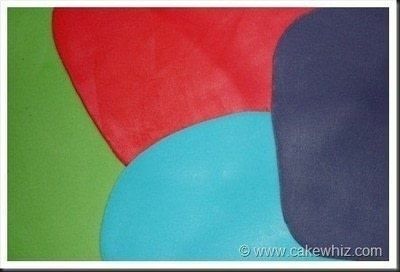 Roll out colorful marshamllow fondant on a smooth, greased surface . 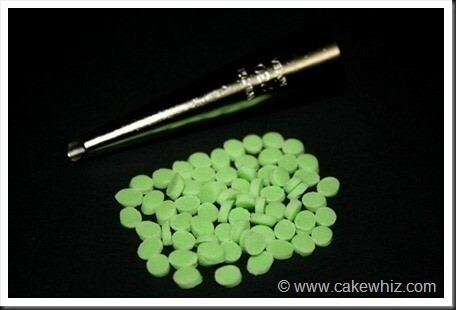 Let this rolled fondant sit for 10 minutes and become a little dry. I felt the next step became easier when I did this. Press Wilton’s decorating tip 12 into fondant and make tiny circle cut outs. Let these circles dry for 24 hours and then put them in a bottle and store in your cabinet at room temperature. DO NOT store them in the fridge. 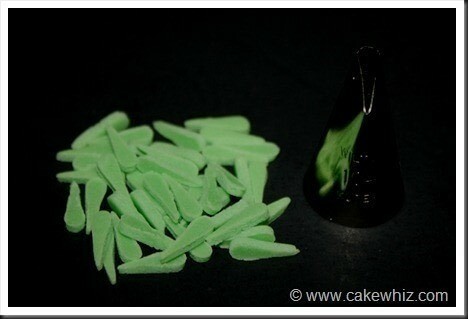 If you want to make oval shaped sprinkles, use Wilton’s decorating tip 230 and follow the same steps as above. 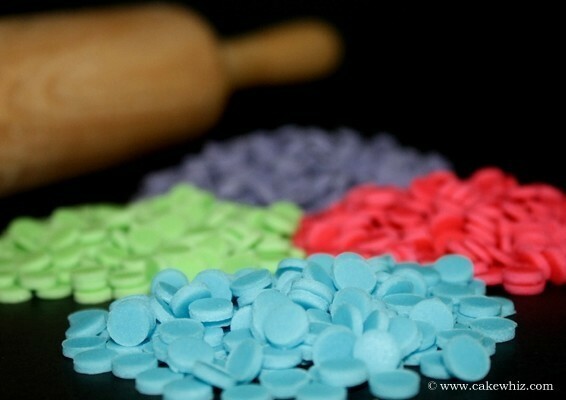 And if you want to make raindrop shaped sprinkles, use Wilton’s decorationg tip 104 and follow the same steps as above. I found these ones to be the coolest! 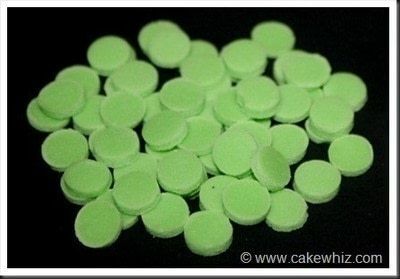 By the way, SparrowFae, if the sprinkles aren't gone yet, you might be able to make a mold of it or so, then you would be able to make them out of fondant? Great idea! I love homemade fondant!